Everyday life is happy in Cambodia for Savy. He meets many tourists and has fun welcoming them in their own language. One day his big brother can not earn the money that the family needs because his teeth are hurting him badly. Will Savy know what to do to prevent him from having the same problem ? This story is teaching about the importance of brushing teeth evryday and learning to do it well at a very early age. 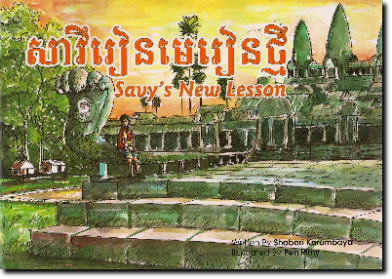 Savy – petit garçon cambodgien, nous raconte sa vie à Angkor. Cette histoire insiste sur l’importance de l’hygiène dentaire pour tous.